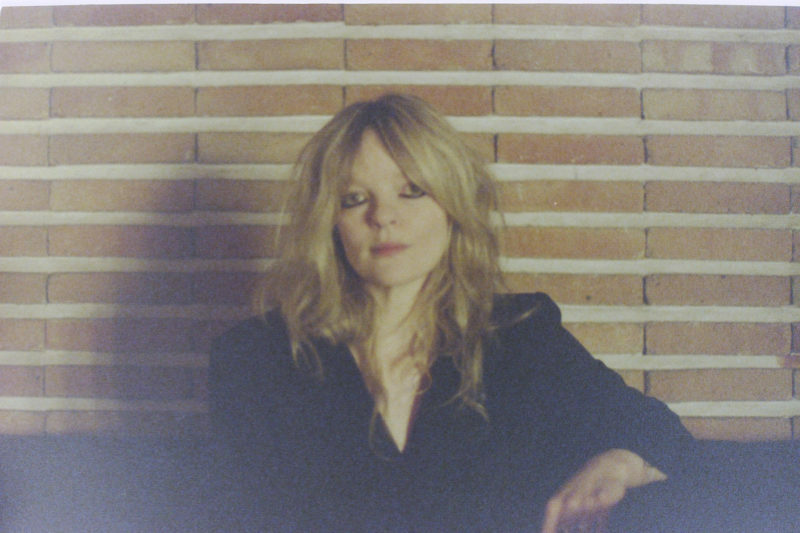 Since Jessica Pratt’s debut in 2007 the Los-Angeles based singer-songwriter has enchanted her listeners with a seemingly timeless mix between mysterious 60’s folk, psychedelic and her distinctively beguiling voice. 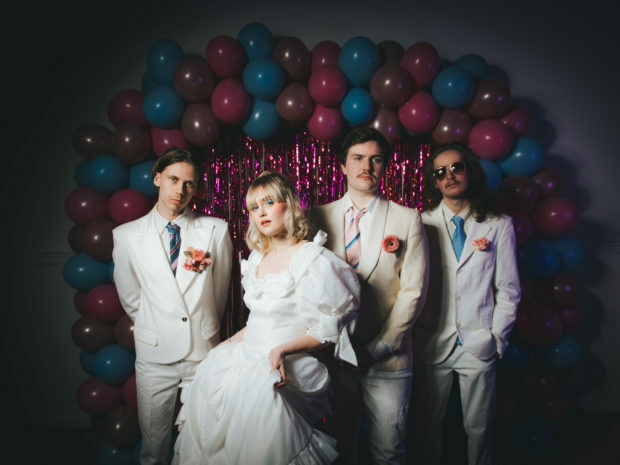 Her music creates an atmosphere of intimacy, which one can only imagine is a result of bedroom-productions, as it was on Pratt’s former records. If that characteristic changes with the environment of professional studios and if this kind of intimacy can be reproduced on stage are questions that got our conversation started. You worked for the first time in a professional studio environment on this record. Did it change the intimacy of your work? Jesscia Pratt: I mean on some level it must change in the immediate level of intimacy, because of course if you’re writing something in your home and then recording it in your home there’s no outside interference. I was a little doubtful as to whether going to a studio, especially a studio across the country from me, was going to work in that sense; maintaining the sense of intimacy, but it did. I think that just in the same way that you can play a show anywhere in the world and cultivate that sense of closeness, the same is true of recording music. So fortunately it worked out, but it was an adjustment. There are a lot of small details on your records, like the warm background noise of a reel-toreel, or your voice echoing in reverb, or the strumming of your guitar. These are such quiet noises that they have to be amplified to be heard, so the environment must have been very quiet. For example if someone is walking by the studio, that would be heard on the record. JP: I definitely think that on some level the sort of atmosphere of silence is sometimes impossible to translate to the live setting and that’s just something you have to accept, I guess. But I feel like you can hint at it. I was a bit frightened to try to tackle these songs live. Some of them I knew would work and some of them seemed like I just didn’t know how it would happen. But is there something you could do? Because it’s also dependent on the audience and whether they’re attentive. JP: Yeah, I’ve been very fortunate in that. I am lucky that I don’t tend to play to audiences that talk a lot. Sometimes that happens like, you know, I’m going on an opening tour for Kurt Vile in the States for 19 dates or so, and he’s playing big venues because he’s a big guy, In a lot of American venues it’s like one big room, there’s a bar in the back and so it’s like this, you know; one half of the crowd isn’t even really aware of what’s going on on the stage when it’s an opener. So those are more challenging, but whenever I come to Europe, I just feel like it’s a very quiet audience. I’m really thankful for this. The strength of her forthcoming album is the microscopic magnification of the small details that are hidden from a noisy world and made hearable for us. The calmness and quietness of her songs requires a certain attentiveness, but Jessica Pratt’s mesmerizing voice is guides the listener through the album from beginning to end. When I first heard This Time Around I was envisioning you crooning to yourself in an empty concert hall. JP: That feels appropriate. I feel like due to the studio sound, even though it’s fairly tape heavy, I think that there is kind of like an alone at the microphone-sound, which is a quality I like about the record. 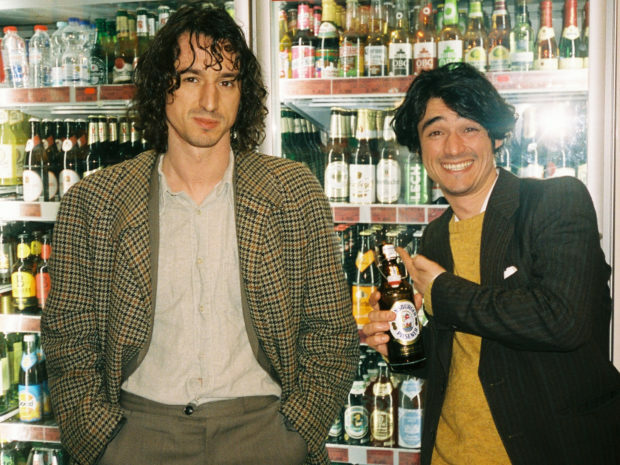 The vocals stand out in a way that feels very much like they’re sort of the main focus of a lot of the songs, especially that one is fairly operatic at least for me, so I suppose that makes sense. What impresses me the most is the effortlessness of your singing. JP: I’m glad that it sounds effortless. I felt like at times I wrote things that sometimes felt beyond my means of singing, but it seemed to work out. That’s the hardest part, right? Things that seem effortless actually often need a lot of effort. JP: Yeah, and that’s why playing these songs live requires a lot of concentration. Some of my older songs definitely take effort to sing, for sure. I think the songs on the last record feel like more of a straight arrow range where I can just project easily and it feels like this solid beam, but the new songs are very wiggly like there’s a new range and then moving around within that range, it’s very unpredictable. So playing them live has been… I never really know what to expect. But isn’t that also kind of exciting? JP: It’s exciting. I think it’s good to push yourself. It’s good to be on your toes. I think I have to be a little nervous to play a good show, but yeah, it’s also very anxiety-provoking. I think I’m just generally an anxious person. 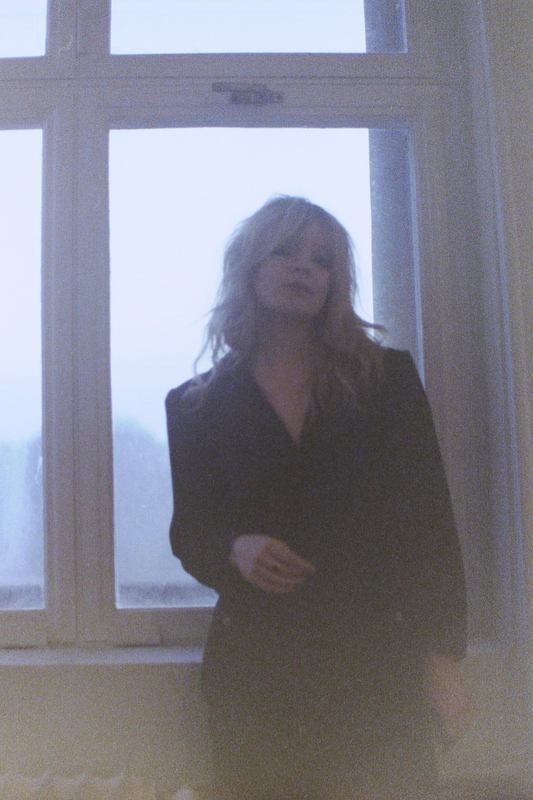 As stated before, Jessica Pratt’s whole creative process is wound around quietness and privacy, so we talked about the need for it while she was writing new songs. You moved from San Francisco to LA before your last record. I read that when you were writing the last record that it was weird to be sad there in summertime. Would you consider working somewhere else, like on tour or in a house in the woods? JP: Yeah, I think I can write anywhere as far as location. The only thing is feeling distracted, like I can’t really write anything of any worth on tour, it’s not really enough time ever and you’re sort of just always exhausted and half of a person. 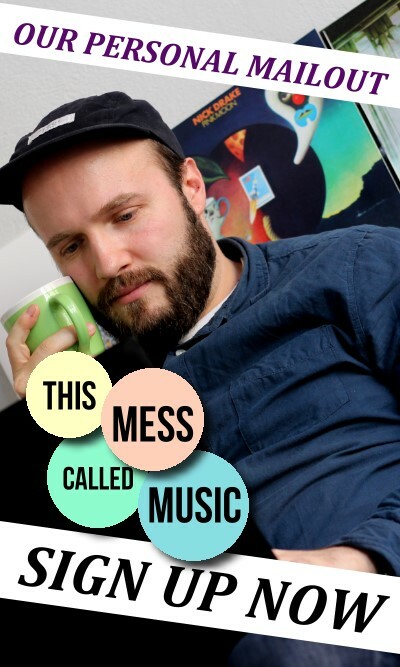 I know people who can write on tour, I can’t do it … I would get all sorts of ideas on the road, but if I don’t write the words and music together at the same time, it tends to not turn into anything, so that’s kind of a hindrance. But I’ve never done that total out in the country isolation phase or anything like that to try to write. I think that it would be too much. I like privacy and I like quiet but I like to have the option of being exposed to other things. You said that you used to write a lot of poetry when you were younger and I think you answered the question before, but is it sometimes your approach to use your poems for lyrics or do you start by having chords in mind? JP: It’s just the music, the chords, the melody and the sort of like phonetic structure of the words, they all come at the same time. Sometimes I’ll get a full lyric as I’m writing, but basically it feels like a dream in print and then I have to go back and sort of evaluate the sounds of the words and fit in actual lyrics like a puzzle piece type thing, because if I try to change the sound of the words that came automatically too much, it just doesn’t feel natural. So yeah, I guess you could say the words and the music come at the same time, but they’re not at first; they’re not real words. Since the interview is taking place at Warschauer Straße not far from the infamous Monster Ronson karaoke bar, I imagined what song could and would be sung at karaoke by Jessica Pratt. JP: So, you know, it’s funny because I love watching other people do karaoke, but I’m not incredibly fond of it myself. I think because I don’t like to fail in front of people and I always think things will be on the right key for me from my memory and often they’re not. Do you like karaoke? It’s okay. Some say it’s about the false singing, about the failure. That’s supposed to be the fun of it, but I don’t know really. JP: I’m enjoying sometimes seeing other people figure out how to make something work that isn’t working. I think the expectation if you’re a singer is kind of unfair, you know. Yeah, but what song would you sing if you would ‘not fail’? JP: I really like the song Arthur’s Theme by Christopher Cross. It’s kind of like a cheesy radio song, but that’s a good one, I like that. It’s a solid one, easy-ish to sing. Quiet Signs will be released on the 8th of February via Mexican Summer and City Slang.